Unburdened by aviation restrictions, high costs and short flying times; kite-based aerial photography (KAP) is an immensely valuable tool utilized by BAID researchers to acquire high spatial resolution aerial imagery in the Barrow area. 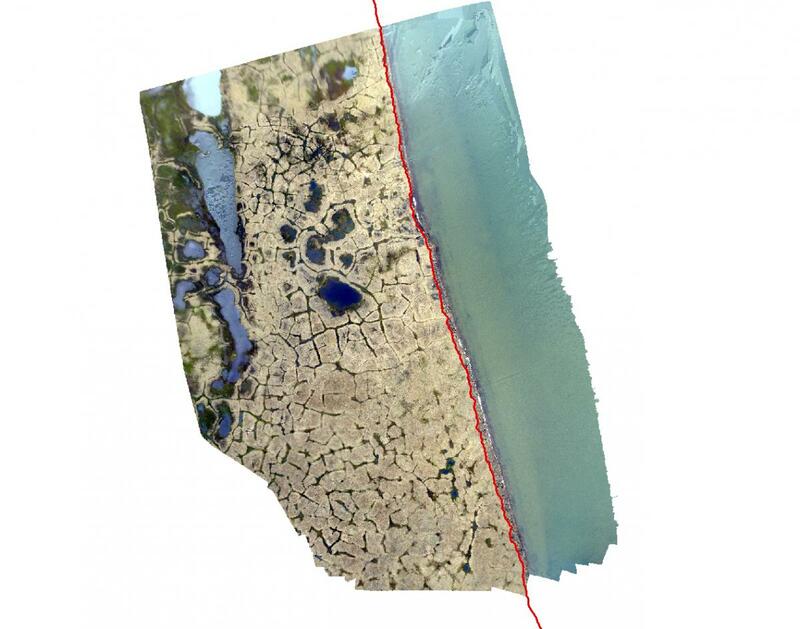 From this high-resolution imagery, the BAID team can then determine landscape-level changes like shifts in spatial and temporal greening trends of small tundra ponds and changes in surface elevation with the production of digital elevation models (DEM). The KAP system is simple; researchers are equipped with a kite, simple point-and-shoot camera and special rig that attaches the camera to the kite. Given the high-resolution images that are produced and the high repeatability of surveys, the team can create images like the one seen on map to help determine even small changes to the coastline.